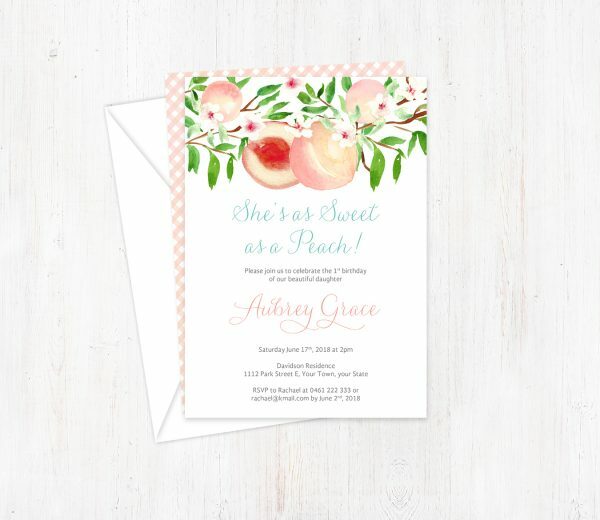 Your daughter is as Sweet as Peach! 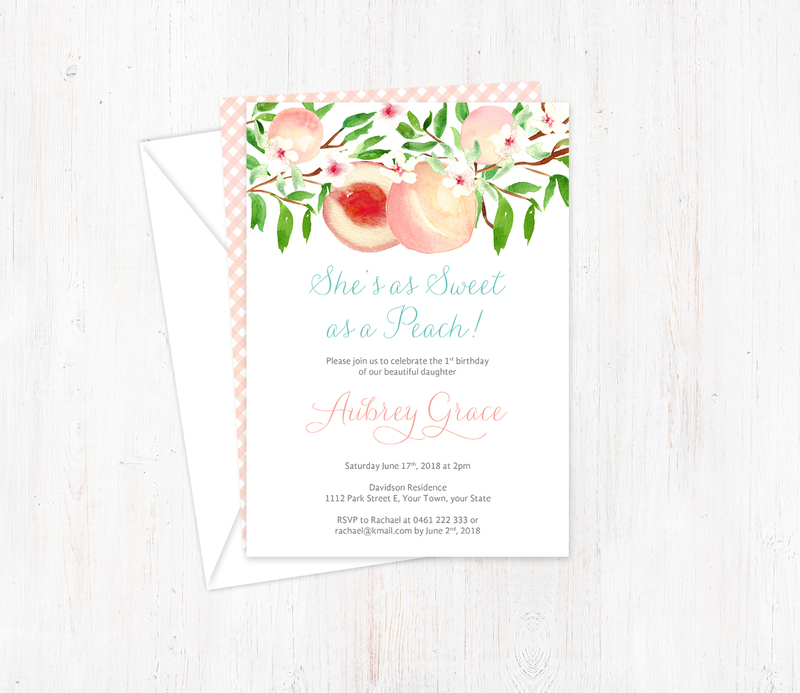 Delight your invitees with these watercolor and modern calligraphy script invitations. All of the wording can be customized as long as the overall amount of words stays roughly the same.